Time and time again I read what I need to read, when I need to read it. I had read Man’s Search For Meaning before; although, as I get older, I find that my own increased experience adds additional dimension to things. Such was the case here. The words of Viktor Frankl, published in 1946, are profoundly significant. I think you will find them of value as well. As part of my Passages series, I have transcribed my favorite passages below. Note: Man’s Search For Meaning chronicles Victor Frankl’s time in multiple Nazi concentration camps – as well as the premise of his school of therapy, known as Logotherapy – and while the book clocks in at just over 150 pages, many of the passages I have selected are related more to the psychological value of the book than its historical content. Nonetheless, I highly recommend you purchase a copy of the book for yourself. It’s easily one of my favorite books, as evidenced by its inclusion in my Passages series. “I remember a personal experience. Almost in tears from pain (I had terrible sores on my feet from wearing torn shoes), I limped a few kilometers with our long column of men from the camp to the work site. Very cold, bitter winds struck us. I kept thinking of the endless little problems of our miserable life. What should there be to eat tonight? If a piece of sausage came as a ration, should I exchange it for a piece of bread? Should I trade my last cigarette, which was left from a bonus I received a fortnight ago, for a bowl of soup? How could I get a piece of wire to replace a fragment which served as one of my shoelaces? “We had to learn ourselves and, furthermore, we had to teach the despairing men, that it did not really matter what we expected from life, but rather what life expected from us. We needed to stop asking about the meaning of life, and instead to think of ourselves as those who were being questioned by life – daily and hourly. Our answer must consist, not in talk and meditation, but in right action and in right conduct. Life ultimately means taking the responsibility to find the right answer to its problems and to fulfill the tasks which it constantly sets for each individual. “The uniqueness and singleness which distinguishes each individual and gives a meaning to his existence has a bearing on creative work as much as it does on human love. When the impossibility of replacing a person is realized, it allows the responsibility which a man has for his existence and its continuance to appear in all its magnitude. A man who becomes conscious of the responsibility he bears toward a human being who affectionately waits for him, or to an unfinished work, will never be able to throw away his life. He knows the ‘why’ for his existence, and will be able to bear almost any ‘how’. “One should not search for an abstract meaning of life. Everyone has his own specific vocation or mission in life to carry out a concrete assignment which demands fulfillment. Therein he cannot be replaced nor can his life be repeated. Thus, everyone’s task is as unique as is his opportunity to implement it. As each situation in life represents a challenge to man and presents a problem for him to solve, the question of the meaning of life may actually be reversed. Ultimately, man should not ask what the meaning of his life is, but rather he must recognize that it is he who is asked. In a word, each man is questioned by life; and he can only answer to life by answering for his own life; to life he can only respond by becoming responsible. Thus, logotherapy sees in responsibleness the very essence of human existence. “The emphasis on responsibleness is reflected in the categorical imperative of logotherapy, which is: “Live as if you were living already for the second time and as if you had acted as wrongly the first time as you are about to act now!” It seems to me that there is nothing which would stimulate a man’s sense of responsibleness more than this maxim, which invites him to imagine first that the present is past and, second, that the past may yet be changed and amended. Such a precept confronts him with life’s finiteness as well as the finality of what he makes out of both life and himself. “It is one of the basic tenets of logotherapy that man’s main concern is not to gain pleasure or to avoid pain but rather to see a meaning in his life. That is why man is even ready to suffer, on the condition, to be sure, that his suffering has meaning. “Logotherapy, keeping in mind the essential transitoriness of human existence, is not pessimistic but rather activistic. To express this point figuratively we might say: The pessimist resembles a man who observes with fear and sadness that his wall calendar, from which he daily tears a sheet, grows thinner with each passing day. On the other hand, the person who attacks the problems of life actively is like a man who removes each successive leaf from his calendar and files it neatly and carefully away with its predecessors, after having first jotted down a few diary notes on the back. He can reflect with pride and joy on all the richness set down in these notes, on the life he has already lived to the fullest. What will it matter to him if he notices he is growing old? Has he any reason to envy the young people whom he sees, or wax nostalgic over his own lost youth? What reasons has he to envy a young person? For the possibilities the young person has in store for him? “No, thank you,” he will think. p.s. The exclusive use of the male pronoun is not so much a defect of the book as a sign of the times in which it was written; however, for being a 73 year old book, its wisdom holds up incredibly well. A treasure, no doubt, for any human’s search for meaning. “I believe there are monsters born in the world to human parents some you can see, misshapen and horrible, with huge heads or tiny bodies; summer born with no arms, no legs, some with three arms, some with tails or mouths in odd places. Students and no one’s fault, as used to be thought. Once they were considered the visible punishment for concealed sins. And just as there are physical monsters, can there not be mental or psychic monsters born? The face and body may be perfect, but if a twisted gene or a malformed egg can produce physical monsters, may not the same process produces a malformed soul? “Nearly everyone in the world has appetites and impulses, trigger emotions, islands of selfishness, lusts just beneath the surface. And most people either hold such thing as in check or indulge then secretly. Cathy knew not only these impulses in others but how to use them for her own gain. It is quite possible that she did not believe in any other tendencies in humans, for while she was preternaturally alert in some directions she was completely blind in others. Cathy learned when she was very young that sexuality with all its attendant yearnings and pans, jealousies and taboos, is the most disturbing impulse humans have. And in that day it was even more disturbing than it is now, because the subject was unmentionable and unmentioned. Everyone concealed that little hell in himself, while publicly pretending it did not exist – and when he was caught up in it he was completely helpless. Cathy learned that by the manipulation and use of this one part of people she could gain and keep great power over nearly anyone. It was at once a weapon and a threat. It was irresistible. And since the blind helplessness seems to have never fallen on Cathy it is probable that she had very little of the impulse herself and indeed felt a contempt for those who did. And when you think of it in one way, she was right. In 1955 a forty-nine-year-old Anne Morrow Lindberg (Wife to famed aviator Charles Lindbergh) spent two weeks alone in a New England coastal cottage, where she penned her thoughts on aging, relationships, solitude, being a woman, and caring for the soul. Sixty years and three million copies in forty-three languages later, Gift From The Sea remains a highly relevant work of inspirational literature. Lyrical prose and uncommon insights elevate this book above the genre. “I want to give and take from my children and husband, to share with friends and community, to carry out my obligations to man and to the world, as a woman, as an artist, as a citizen. But I want first of all – in fact, as an end to these other desires – to be at peace with myself. I want a singleness of eye, a purity of intention, a central core to my life that will enable me to carry out these obligations and activities as well as I can. I want, in fact – to borrow from the language of the saints – to live “in grace” as much of the time as possible. “With each partner hungry for different reasons and each misunderstanding the other’s needs, it is easy to fall apart or into late love affairs. The temptation is to blame the situation on the other person and to accept the easy solution that a new and more understanding partner will solve everything. Note: nineteen years after Anne Morrow Lindbergh wrote these words, her husband, aviator Charles Lindbergh, would pass away, after forty-seven years with her, leaving her a widow for the last twenty-seven years of her life. “Many people never climb above the plateau of forty-to-fifty. The signs that presage growth, so similar, it seems to me, to those in early adolescence: discontent, restlessness, doubt, despair, longing, are interpreted falsely as signs of decay. In youth one does not often misinterpret the signs; one accepts them, quite rightly, as growing pains. One takes them seriously, listens to them, follows where they lead. One I afraid. Naturally. But who is not afriad of pure space – that breath-taking empty space of an open door? But despite fear, one goes through to the room beyond. But in middle age, because of the false assumption that it is a period of decline, one interprets these life I signs, paradoxically, as signs of approaching death. Instead of facing them, one runs away; one escapes – into depressions, nervous breakdowns, drink, loves affairs, or frantic, thoughtless, fruitless overwork. Anything rather than face them. Anything, rather than stand still and learn from them. One tries to cure the signs of growth, to exorcise them, as if they were devils, when really they might be the angels of annunciation. “…good communication is stimulating as black coffee, and just as hard to sleep after. Before we sleep we go out again into the night. We walk up the beach under the stars. And when we are tired of walking, we lie flat on the same under a bowl of stars. We feel stretched, expanded to take in their compass. They pour into us until we are filled with stars, up to the brim. Note: this is the sublime. Note: this is writing par excellence. This is the second entry in my Passages series, where I transcribe my favorite passages from a book I have just finished reading. Today I felt like an enjoyable read and thus returned to a story I relate to as both a writer and a human being. Fitzgerald manages to tell a story that is free from verbosity without being as robotic and curt as I find his contemporary chum Ernest Hemingway. The Great Gatsby is, in my estimation, a novel without flaw. Read the passages below to discover why this work is considered to be a masterpiece of American literature. Copyright 1925, Scribner paperback edition, 2004. I meant nothing in particular by this remark, but it was taken up in an unexpected way. “Civilization’s going to pieces,” broke out Tom violently. “As we crossed Blackwell’s Island a limousine passed us, in which sat three modish negroes, two bucks and a girl. I laughed aloud as the yolks of their eyeballs rolled toward us in haughty rivalry. He looked around him wildly, as if the past were lurking here in the shadow of his house, just out of reach of his hand. “Her voice is full of money,” he said suddenly. 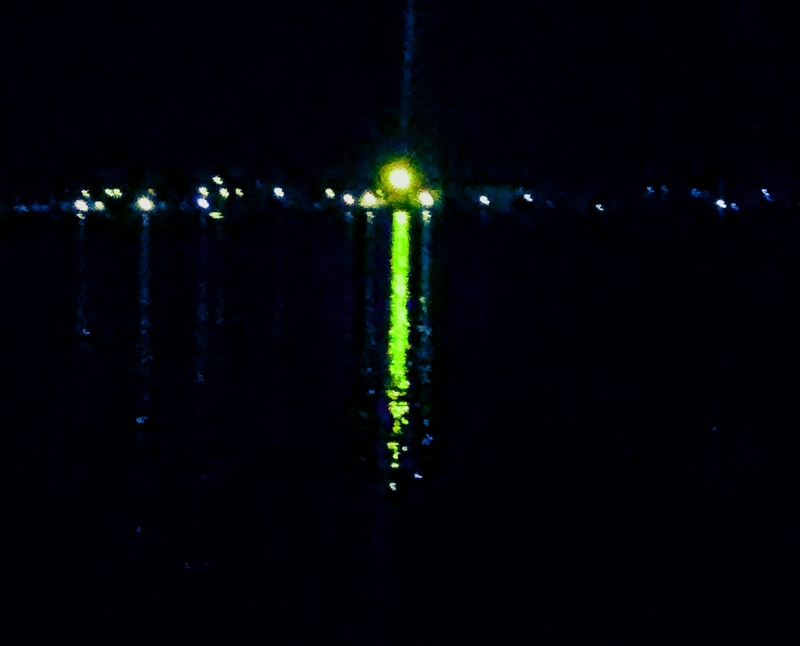 “And as I sat there brooding on the old, unknown world, I thought of Gatsby’s wonder when he first picked out the green light on the end of Daisy’s dock. He had come a long way to this blue lawn, and his dream must have seemed so close that he could hardly fail to grasp it. He did not know that it was already behind him, somewhere back in that vast obscurity beyond the city, where the dark fields of the republic rolled on under the night. I have begun sharing select literary passages on Facebook as of late, where, despite my small list of friends, I have received a substantial amount of positive feedback in the form of likes, shares, and comments. Prompted by this experiment, and spurred by my desire to champion good literature, I will be publishing a series of entries entitled Passages, where I will share my favorite prose and wisdom within a given book. I’m excited about this. As a writer, I’ll get to transcribe the passages I enjoy most, endearing their texture and syntax evermore deeply to me; and as a reader, this practice will foster more thoughtful, perceptive reading – something I am duly more conscientious of, having just read Mortimer J. Adler’s and Charles Van Doren’s classic literacy manual: How to Read a Book. As I embark on this journey of transcribing these beautiful bits of books, I offer a caveat and a disclaimer: Passages are not CliffsNotes, nor it is not my wish to contribute to the pseudo-intellectual culture promulgated by the internet and television; that which gives the viewer a false sense of knowing, without any background, context, or experience, the same stacking of facts that allows people to quote so-and-so without ever actually having read blah-blah-blah. I am not one who espouses highbrow elitism; however, I believe the world would be a better place if people read more books, for few things have profited my soul as time spent between pages. Without further ado, I hope you enjoy these selected passages. – p. 56 | note: I find Campbell’s normally eloquent and succinct writing a bit obtuse here but if you can discern what he is saying – there is a lot to take away from this passage on happiness and the transcendent, larger than life power of story. To quote Gabriel Garcia Marquez from One Hundred Years of Solitude (a book I could not get into): “It’s not so much what happens to you but what you remember and how you remember it.” In other words, the story we tell ourselves matters more than the plot of our lives, for the story shapes the plot. “The first task of any systematic comparison of the myths and religions of mankind should therefore be (it seemed to me) to identify these universals (or, as C.G. Jung termed them, archetypes of the unconscious) and as far as possible to interpret them; and the second task then should be to recognize and interpret the various locally and historically conditioned transformations of the metaphorical images through which these universals have been rendered. Since the archetypes are not limited in their distributions by cultural or even linguistic boundaries, they cannot be defined as culturally determined. However, the local metaphors by which they have been everywhere connoted, the local ways of experiencing and applying their force, are indeed socially conditioned and defined. Bastian termed such local figurations ” ethnic ideas,” völkergedanken, and Mircea Eliade has termed them “heirophanies” (from hieros-, “powerful, supernatural, holy, sacred,” plus phainein, “to reveal, show, make known.”). “Schopenhauer, in his bold and really magnificent “Transcendent Speculation upon an Apparent Intention in The Fate of the Individual” (1850), takes up the idea, remarking that in the later years of a lifetime, looking back over the course of one’s days and noticing how encounters and events that appeared at the time to be accidental became the crucial structuring features of an unintended lifestory through which the potentialities of one’s character were fostered to fulfillment, one may find it difficult to resist the notion of the course of one’s biography as compatible to that of a clearly constructed novel, wondering who the author of the surprising plot can have been; considering further, that as the shaping of one’s own life was largely an effect of personalities accidentally encountered, so, too, one must have oneself worked effects upon others. “From the standpoint of an exclusively mechanistic view of human experience and action, any such attribution to nature of, “a presence… far more deeply interfused” as that of Wordsworth’s poetic lines of meditation written above Tintern Abbey, or of Schopenhauer’s “Will in Nature,” must be qualified in the derogatory sense as feelings; the so called pathetic fallacy: a sentimental projection of the imagination like Don Quixote’s morbid fantasy of a magician’s work in a windmill. Anthropologists, in the same vein, describe as “animism” the attribution in tribal mythologies, not only of consciousness, but also of a discreet indwelling spirit, to every material form of reality, whether it be animal, plant, stone, star, moon, sun, or cyclone. While in the vocabulary of Judeo-Christian theology, diabolism is the word for such beliefs. “Carl Jung somewhere has written that the function of religion is to protect us from an experience of God. The priest’s practical maxims and metaphorical rites moderate transcendent light to secular conditions, intending harmony and enrichment, not disquietude and dissolution. In contrast, the mystic deliberately offers himself to the blast and may go to pieces. “For nature, as we know, is at once without and within us. Art is the mirror at the interface. So too is ritual; so also myth. These, too, ” bring out the grand lines of nature,” and in doing so, reestablish us in our own deep truth, which is at one with that of all being.